Tibetan spiritual leader the Dalai Lama gestures as he speaks during a students gathering at the Mumbai University in Mumbai on February 18, 2011. (CNN) -- The Dalai Lama announced Thursday his plan to retire as political head of the exiled movement, according to his website. "Tibetans need a leader, elected freely by the Tibetan people, to whom I can devolve power," the exiled Tibetan spiritual leader said in a statement. "Now, we have clearly reached the time to put this into effect." He said he will formally propose amendments to the Charter for Tibetans in Exile to make the change at the upcoming session of the Tibetan Parliament in Exile that begins Monday. If the changes are made, leadership of the group would be passed to an elected leader. 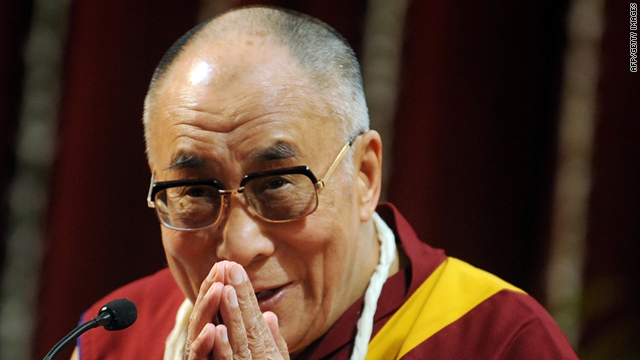 The Dalai Lama told CNN in October that he would like to retire at some point. "I'm also a human being. ... Retirement is also my right," he said while on a speaking tour of North America. Without saying exactly when, he said, "Sooner or later, I have to go. I'm over 75, so next 10 years, next 20 years, one day I will go." The Dalai Lama fled China in 1959 after a failed uprising against Chinese rule. The exile group is headquartered in Dharamsala in northern India.